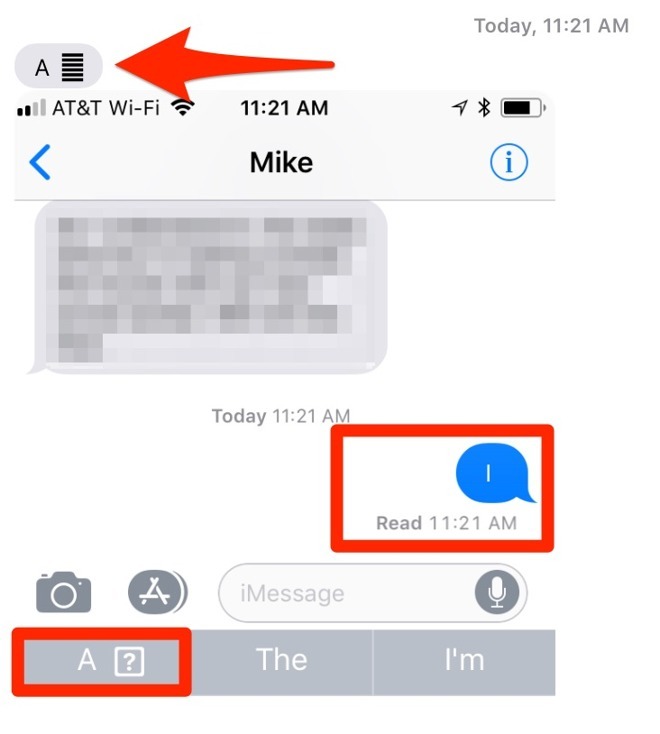 Some iPhone users running any flavor of iOS 11 are seeing a bug when they enter the letter I in an iMessage to another user. AppleInsider explains what's going on, and how to work around it until the issue is solved by Apple. The problem isn't widespread, but is clearly some form of bug that comes and goes in iOS 11. The symbol generated is a combination of the unicode symbol 0049 for the capital letter "i" as well as symbol FE0F which is called "variation selector-16." Variation selectors are used to specify a specific variant for a Unicode character, such as the Japanese, Chinese, Korean, or Taiwanese form of a particular glyph. Why it is being erroneously inserted on some devices is not yet clear. There is some combination of devices that manifests the issue. In testing for this article, AppleInsider sent the message from a device with the problem to several different recipients. The symbol didn't pop up on a 2016 or 2015 15-inch MacBook Pro running macOS 10.13.2 beta 1 and 10.13.1 respectively, and the correct symbol was displayed when the message was sent to one iPhone SE to another iPhone SE running iOS 11.1 and an iPhone 7 Plus running the iOS 11.2 beta. However, a 2012 Mac mini running macOS 10.13.1 did see it, as illustrated above. AppleInsider has reached out to Apple regarding the issue, and has not received a response as of yet. A quick fix is to turn off predictive text, or to force the afflicted device to autocorrect "i" to "I" which will prevent the variation selector Unicode symbol from being applied. Users also suggest a phone restore might clean up the problem —but the Apple Community Support Forums suggest that this isn't a permanent fix.